World Blood Donor Day - RIA gives life! 10 medical workers of Vinnytsia Regional blood transfusion station came to the office for collecting blood. All those wishing to donate blood, were registered according to the passport. Next – blood fingerstick followed, then measurement of pressure, the last preceding procedure – the doctor’s examining and his decision – whether you are allowed or not to participate. If all is well – one is given a system for blood, has to drink some tea and is sent to the manipulation room. This day the room in which workers of RIA usually study and hold meetings, served as a manipulation room. Procedure of blood sampling lasts 15 minutes. Usually 450 milliliters of blood is taken. 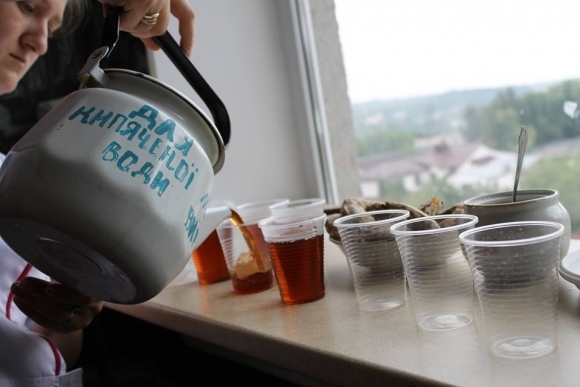 RIA donors were treated with sweets and sweet tea. 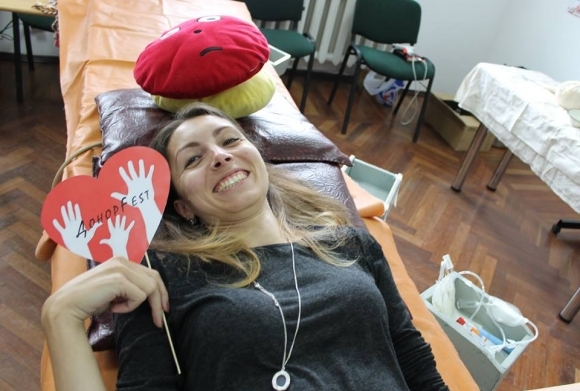 Editorial office of the «Home Cardiologist» magazine acted as initiators of corporate action for blood donation – it is one of projects of Media of RIA Corporation of the medical direction. The action took place under the name Donorfest. Our plan is to involve the other Vinnytsia residents in the project next year! 16 people became donors though there were more volunteers. Physicians did not allow many to procedure. 7,5 liters was the amount of the collected blood. Theoretically, it would be enough to save nearly fifty lives.